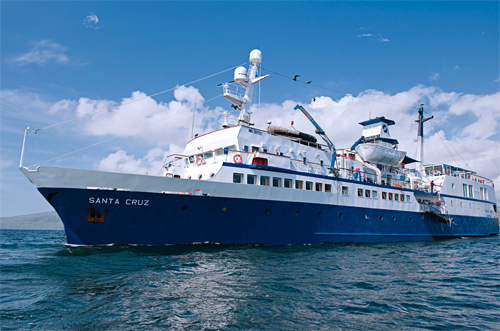 The M/V Santa Cruz is the perfect ship for relaxing and socializing while discovering the wonders of the Galapagos Islands. The boat features a spacious interior and social areas with full air conditioning as well as a large bar, complete with a dance area. The Santa Cruz is one of the few boats in the Galapagos Islands with a glass bottom. 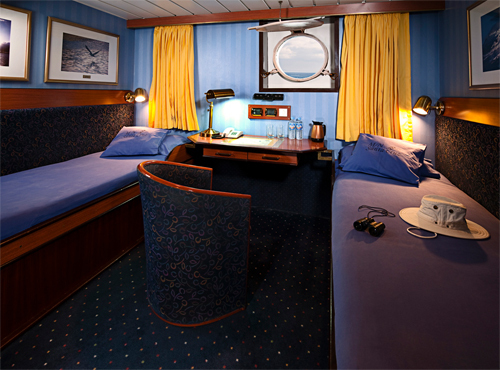 The boat offers 49 cabins, accommodating up to 90 guests, all with private bathrooms and air conditioning.